Earlier this month, the world woke up to the brilliance of BV Doshi. 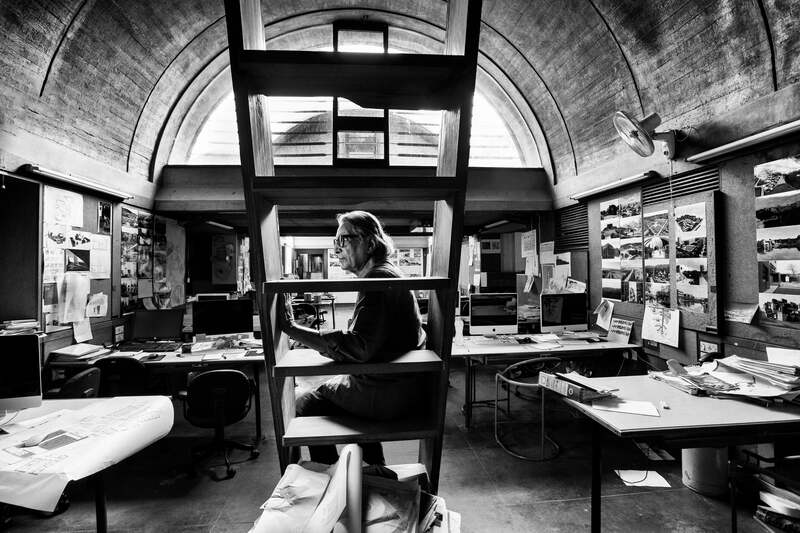 Indian architect Balkrishna Vithaldas Doshi has been honoured with the prestigious Pritzker Prize, the Nobel Prize for Architecture they call it. For Doshi, architecture is the symphony of life. This symphony is seen in the halls of IIM Bengaluru, the passageways of Centre for Environmental Planning and Technology (CEPT), the light that filters in through the windows of the buildings in the Aranya Low Cost Housing development in Indore and many more such buildings where knowledge and life is thriving. At 90, Doshi is the first Indian to win the award. Doshi has over 70 years of contribution to architecture, but his works aren’t about the tallest skyscrapers in town, they are in fact, residing amidst the needs of people and the halls of learning. The Ahmedabad-based architect’s works have been a reflection of life and the societal norms that surround us. When announced the winner of the Pritzker prize, the official website describes Doshi’s architecture as one that explores the relationships between fundamental needs of human life, connectivity to self and culture, and understanding of social traditions, within the context of a place and its environment, and through a response to Modernism. Currently revelling in the glory of the Pritzker, Doshi describes his reaction to the moment where he felt he “almost reached heaven”. Entrepreneur India spoke to BV Doshi, as he shared his illustrious journey and why he believes architecture is more than just a building. Even though he didn’t know how to speak French, Doshi moved to Paris to work with and learn from the renowned architect Le Corbusier. While in Paris, Doshi’s story of having lived on bread and cheese to make ends meet is known to all, but for him those were not setbacks or challenges. Doshi said that his time there was spent in learning the best from the best. “It was difficult. But everybody is obsessed with a dream, everybody has their haunting. Architecture is mine,” he said. For Doshi, his philosophy of architecture is when buildings are designed with a view to actually live in them. The Aranya low cost housing development he designed today houses over 80,000 individuals. His works have been described as “poetic and functional” but for Doshi, they are about understanding the requirements of people who’ll build a life in them. “It’s all about the spaces and forms, buildings are an extension of our lives,” he said. There’s no signature BV Doshi style, but his signature is marked by recognising the needs of people and ensuring that their lives aren’t closed within the four walls of a room but instead, are places where they experience happiness. “I work for the people. My purpose is that people should be happy where they live,” he said. Over the years, he agrees his work has evolved, just like any other organic process does. 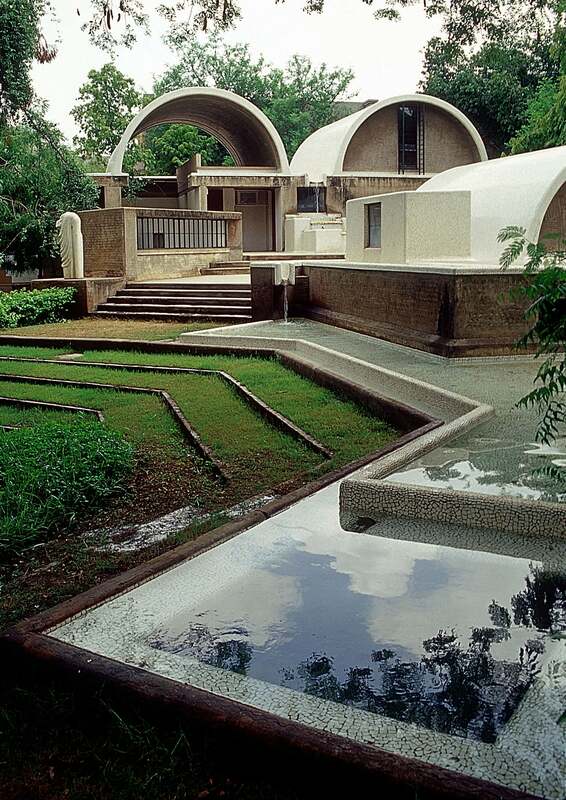 In 1956, he founded his own practice called Vastushilpa and designed his own architectural studio called Sangath. Doshi’s own house and studio are his personal spaces designed by him. The overarching idea behind them was to build a space where he doesn’t get bored. Over a span of 50 years, the two structures haven’t changed. “Of course they are spacious, well-lit and airy. The idea was to never feel bored in my own space, and even after living here for so many years, I’m not bored. One should be able to experience joy both outside and inside the space you live in. It’s not about building a rigid structure but a part of you. Architecture is a living space,” he said. Over the course of his illustrious career, Doshi, the academician, has been visiting schools nationally and internationally, where he meets students who are building their own dreams. Sharing a word of advice for young architects, he said, “Be yourself and do what you want to,” he said.